All official Gint-A-Cuffs rules are in effect above and beyond any other rules. Only one (1) Hobby box is broken at a time. All cards from each individual box are used for each separate GintACuffs point tally. All cards are open for managers and/or as free agents, based on the managers/players list. All "Break the Code" cards are considered as one "player." Each card is considered as an individual "player" based on the name of the person/item featured, not the category to which that player/item belongs. All registered managers get whatever cards they pull based on their player list. What the heck do I do with Rip Cards? I have no idea. We will cross that bridge if/when we get there. Since there are 8 cards at most per pack, ALL cards will be scanned and shown. In order to meet GAC Deadlines, I will open multiple packs each day. How many? That'll be random. Watch for the changes and try to keep up. Wahoo!! A Perfect Pack! That is awesome! What a way to kick off the Gint-A-Cuffs PAD Circus break! Congratulations, managers! Congratulations to the three managers that pulled cards! ProwlingCats pulled the same player in two packs! That pretty cool indeed. As for our GAC points, well, we are doing better than no points, but not by much. Let's hope things pick up for us. *I'm giving my own bonus points for the Starting Points card having my birthday on it. Okay, not really, but, man, that should count for something, right? RE: Rip Cards. If any are pulled then I should think they go to the manager who has that player UNripped. Then the manager once they receive it can decide to rip it or not. I personally do not like the idea of rip cards because it ruins the rip card that is in actuality a "wrapper card" for some kind of SP or limited mini. Aren't those mini parallel packs a case hit? As in you should get more points? I dunno about that. I guess I assumed the mini parallels were in each box. 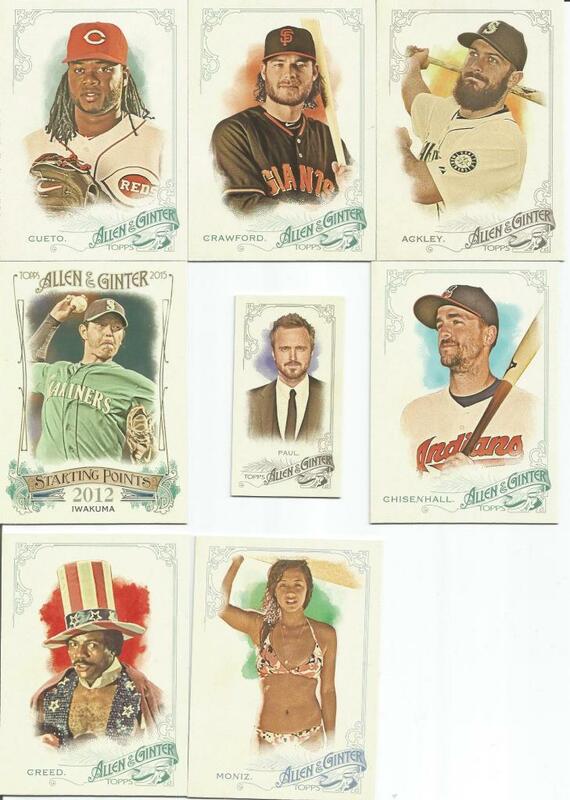 In any case, the GAC commish did not award extra points for the mini parallels, so I am going by the points he has set.